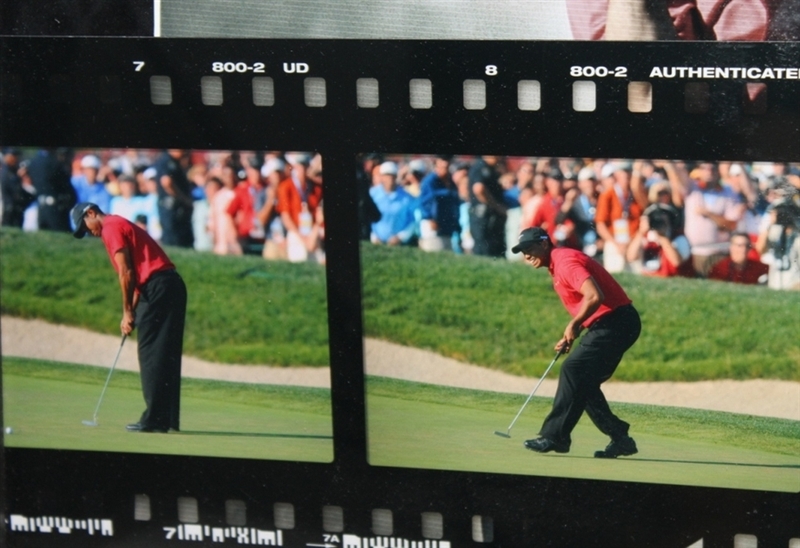 Tiger Woods won his third US Open title in 2008 at Torrey Pines in a sudden-death play off over Rocco Mediate. 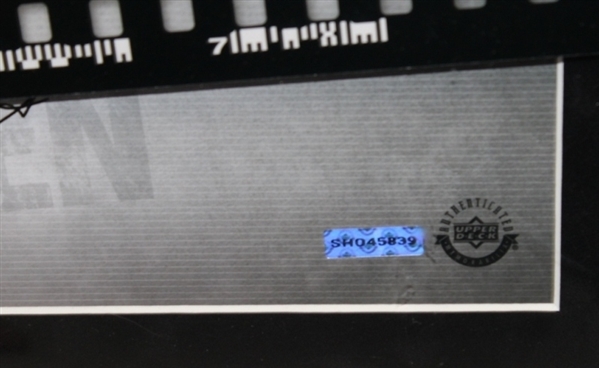 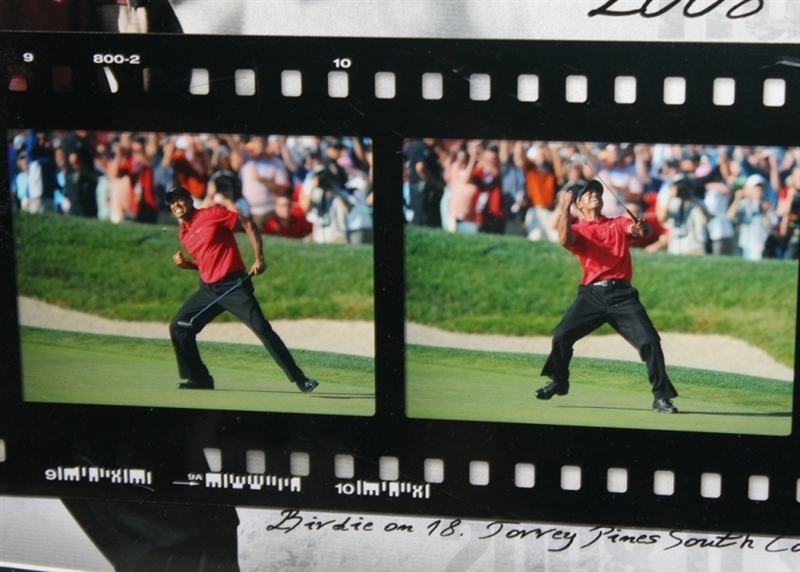 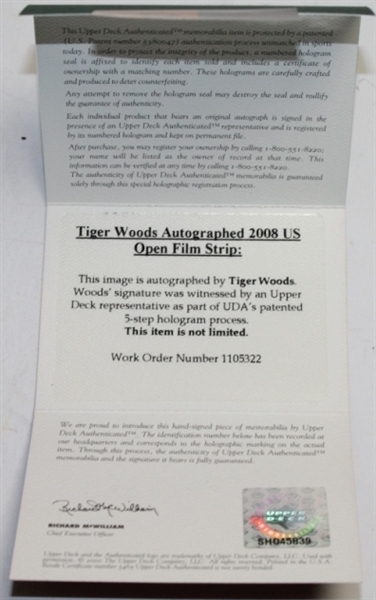 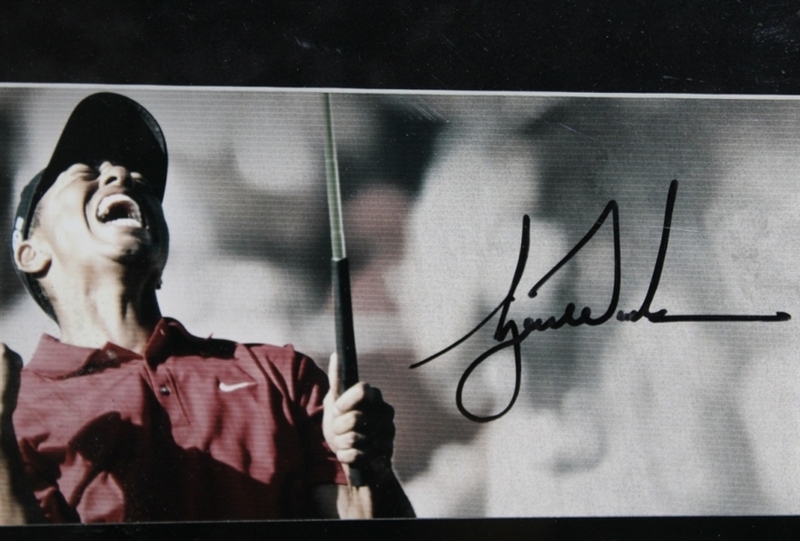 Offered here is a framed film clip display of Woods making the putt on the 18th hole by Upper Deck Authentication. 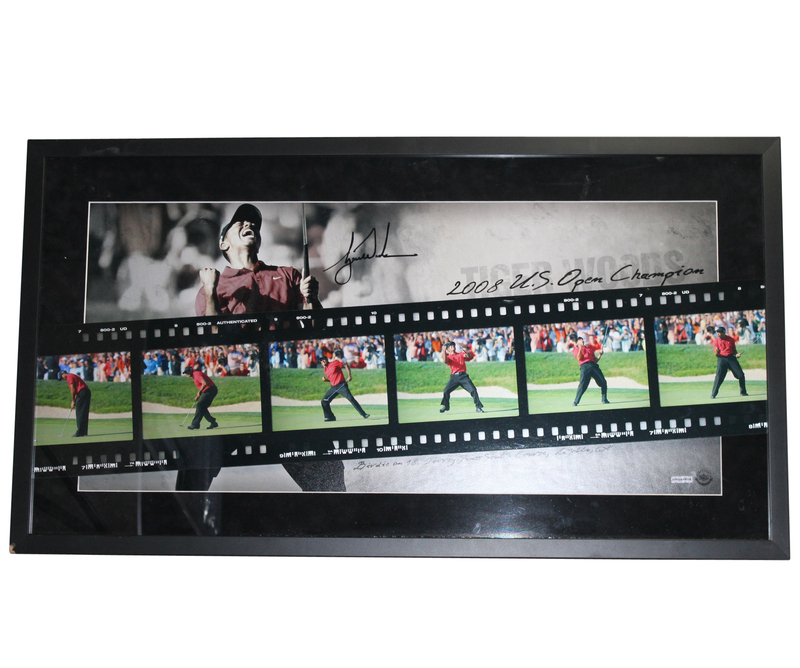 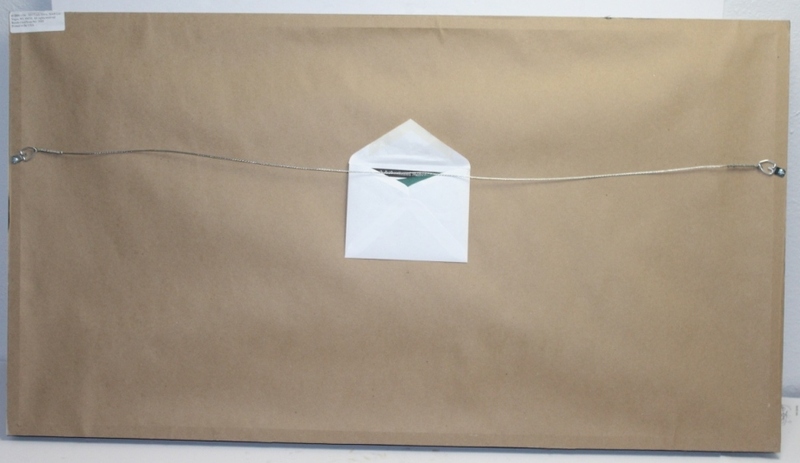 The framed piece measures 20 1/4" x 36 3/4" and is highly presentable.